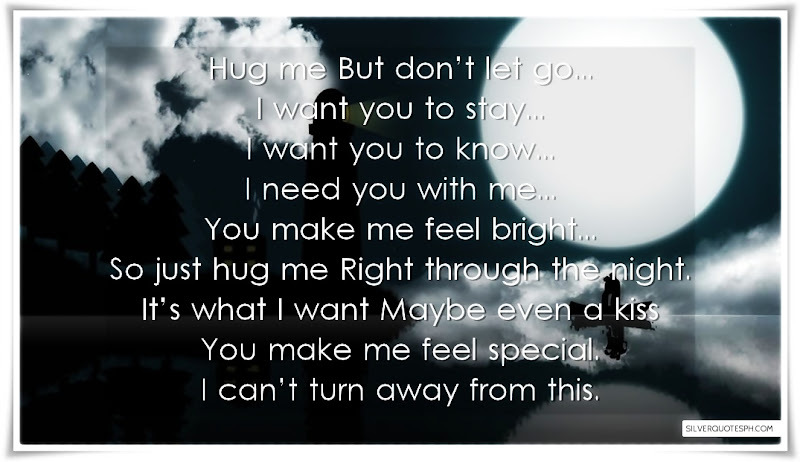 Hug me But don’t let go... I want you to stay... I want you to know... I need you with me... You make me feel bright... So just hug me Right through the night. It’s what I want Maybe even a kiss You make me feel special. I can’t turn away from this.